From hunting to health care, invisible fence information to crate training, puppy training to puppy care, this site could become your new best friend. New information-packed articles are being continually written and added on a regular basis with your needs in mind. Take a look below for a summary of everything you will find in these pages–we tried not to leave anything out! Dog Breeds For Every Need, and Names Too! The dog breeds section of our site has in-depth information on all 173 registered AKC breeds. From general information to grooming requirements and temperament, training information to health issues and life expectancy, choosing a breed will be much easier after doing a quick study. Somebreeds are more popular than others, but you may want information on something other than the top 10 breeds or the most popular breeds. You can even visit our dog breeds section to learn more about your current breed. 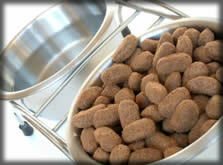 Are you looking for a list of hypoallergenic breeds or a low maintenance pet? How about a list of the Top 10 dog breeds? Visit our AKC Breeds list for detailed information on popular breeds like the German Shepherd and Labrador Retriever, as well as breeds you may have never heard of like the Kuvasz or the Puli. It’s fund to explore! If you need a list of names for your rescued or adopted pooch, or a list of puppy names for your new addition, take a look at our extensive list of names, too. Almost everyone needs basic dog training assistance, if for no other reason than to maintain your own sanity! If you plan to use your canine companion for hunting or showing, you may require additional help from a professional trainer, or at least a very focused owner. Proper training from an educated amateur or an experienced trainer can also help correct behavior problems, like chewing, biting and excessive barking. Potty training is probably one of the most useful first steps for new owners. This site includes a great number of free training tips and articles on how to correct specific behavior problems. For those who want to wow and amaze their friends and family, you will also find articles on fun topics like teaching dog tricks. Shake, kiss, crawl and roll over are some of the fun tricks you will learn to teach. Most any pet or animal can contract a number of diseases and ailments. With proper care, including maintenance of the living environment, owner education and periodic check-ups by a veterinarian, a good number of the most common canine health problems can be avoided. Read our many informative articles on health care to become familiar with the most common problems you may encounter. Certainly, dogs are different than humans when it comes to eating (not to mention a long list of other things!). Is a meat based or grain based diet better? Is it OK to feed table scraps? There are many things to consider, including current health conditions, activity level, purpose or intended use, etc. What about weight control, “hot spots” or other skin conditions? These questions and a number of other common canine diseases are addressed within this website. The breeds section of our site also provides insight to the most common diseases and ailments related to certain breeds. With so many dog supplies and training aids on the market today, how do you choose? Is crate training right for you? If so, how do you choose from so many crates? Do you need an invisible fence or a shock collar? How do you pick the right one, or do you even need one? With a nearly endless number of choices in the pet supplies industry, our resources will help you become educated on what is right for you. 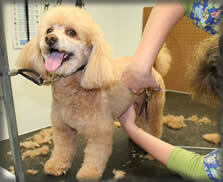 You fill find advice on supplies and training aids from beds to collars and crates to grooming gear. Would you rather learn by watching a DVD rather than by reading a book? There are a number of excellent training books and DVD programs available today. We can help you sort through the options and pick the right one for you. another website! Learn more about me if you are really intested.